Lightning McQueen is a character from the Disney movies Cars and Cars 2. Lightning McQueen is a red rookie race car that has a great amount of potential. He won the Piston Cup in the first movie, which is a very important race. Lightning McQueen lives in Radiator Springs, a small town off of Route 66, with his best friend Mater and other friends. This animated Disney movie is very popular and a great movie for kids! 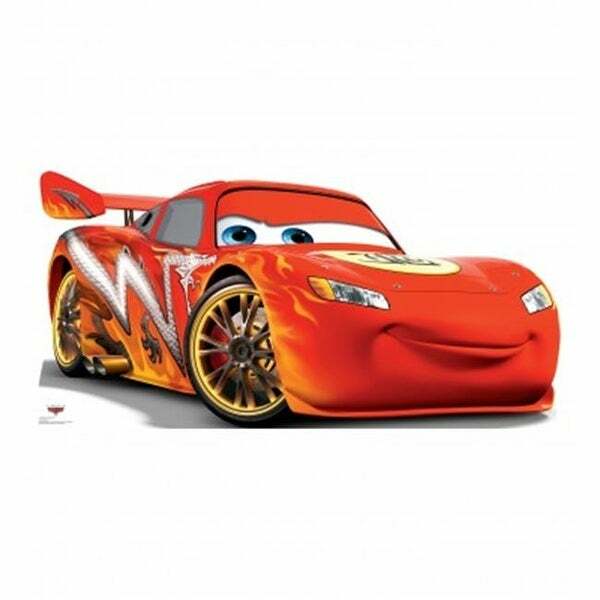 Any child would love to have a cardboard cutout of Lightning McQueen the famous race car! Size - 33 x 67 in.